When the decision has been made for you and your spouse to go your separate ways in life by getting a divorce, you have a lot at stake. Friends and family will have a lot to say to you about the divorce process, but you need to be sure to get the advice of an experienced divorce attorney. It’s your divorce attorney’s job to get you through this complicated process while helping you to get your best result. Child Custody and Visitation – If you have children under the age of 18, the court will need to decide child custody and visitation. There’s a big difference between joint custody and sole custody. Visitation plans can be more or less detailed. 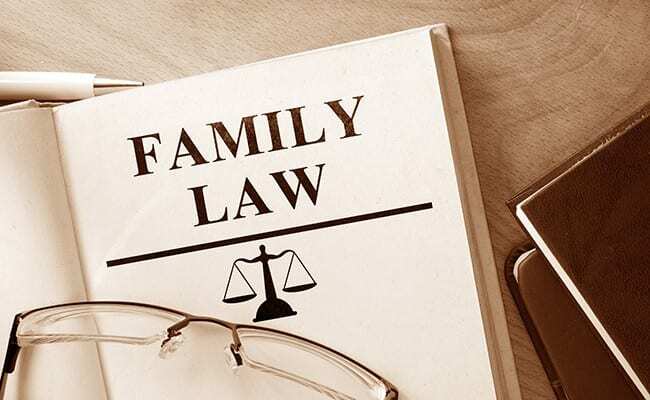 Child Support – The court will decide child support in any case where there are children of the divorcing parents under the age of 18 (and up to 23 if in college). The child support calculation will take into account your and your spouse’s incomes and who pays for health insurance. In some cases, the visitation plan and other special circumstances need to be accounted for in setting child support. Spousal Support or Alimony – You or your spouse may claim the need to be supported for a while, both during the divorce process and afterward. Property and Debt Division – Your assets and debts will also need to be divided. Accounting for property held before the marriage and gifts received during the marriage are very important. After the divorce has been finished, it is often necessary to go back and modify the decree. Children get older and their needs for visitation change. Incomes go up and down, meaning that child support needs to be modified or that spousal support needs to be modified. Sometimes a former spouse receiving alimony or spousal support finishes college and gets a great job so that the support needs to be terminated. In any of these events, it is necessary to go to court to modify the decree. Your ex has not paid your alimony this month. He/She has a good job, but isn’t paying child support. You will have to ask the court to enforce the decree. This can be done through filing for contempt. In some cases it may be appropriate to garnish bank accounts or paychecks. Sometimes two spouses want to live apart and no longer be responsible for each other’s needs, but are not ready for a divorce. A legal separation may be the answer. Assets and debts get divided up, and support responsibilities are set, but your future accumulation of assets and debts are separate from each other even though you remain married. A legal separation is a short-term solution; at the end of two years you either divorce or continue to be married. Annulment is used to dissolve a marriage that was obtained through fraud or force, or which was never legally allowed to take place (such as if your spouse was already married to another person). An annulment makes it as though the marriage never happened. Chris Eggert of Eggert & Associates has been handling divorce cases for nearly twenty years on the mainland, and in 2014 opened his office in Kona, Hawaii. As a divorce attorney, Chris provides excellent personal service and attention to detail. Whether you are considering a divorce or are in the process of getting a divorce, contact us today to discuss your case.